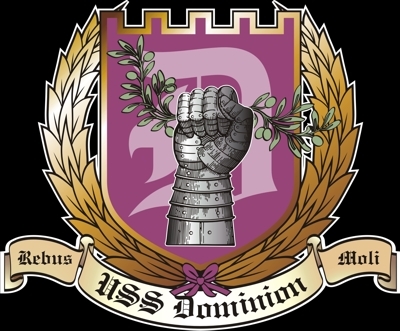 The DOMINION was a Republic class warship, and the third dreadnaught to carry the name, following in the steps of the old Federation class ships. The Republics offered a significant increase in hull volume and firepower over even the original huge Federation Class ships. 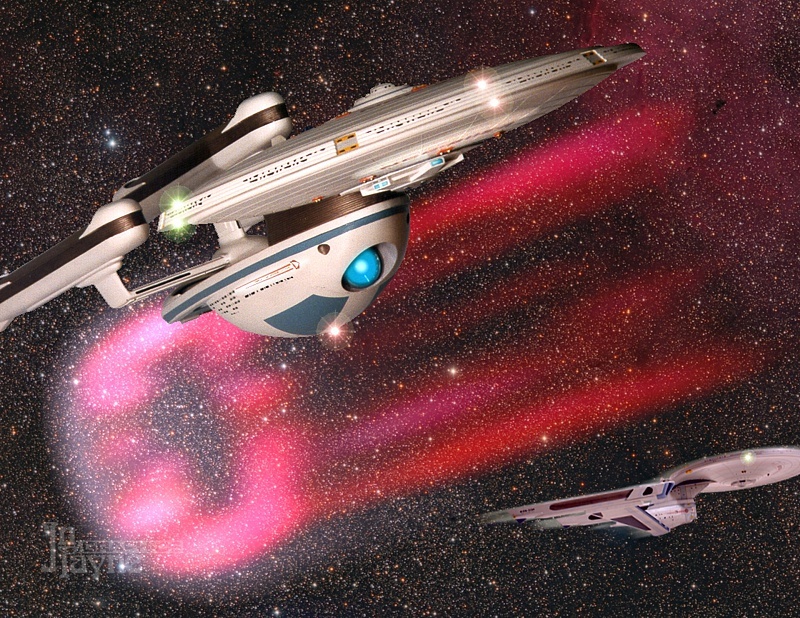 The Dominion and her sisters were among the most powerful starships of their time, three-engined goliaths built strictly as capital ships for defense of Federation space. 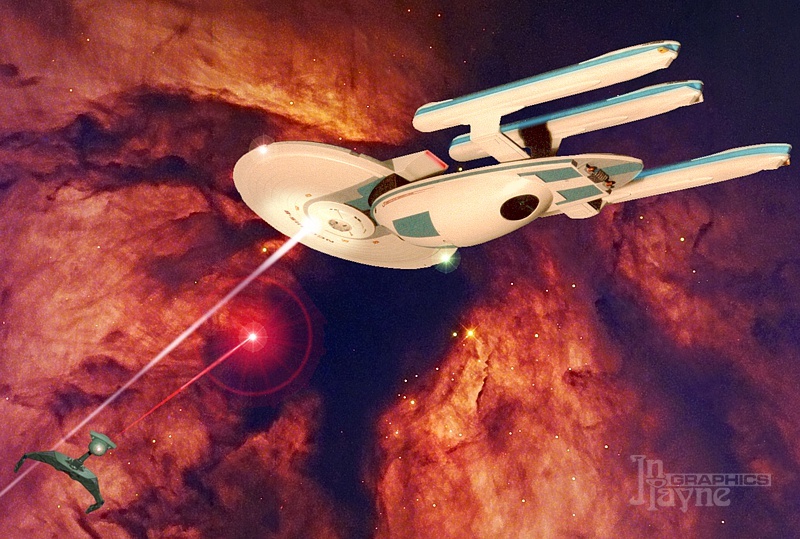 She is shown here firing a volley of photon torpedoes at Rick Berman. Dominion and Raan dodge in opposite vectors to avoid a Romulan plasma bolt.